Three years ago, I had a job that I loved; a job that I was so passionate about, that I never thought about leaving it. But it was hard work: early starts, never finishing until late into the evening. I didn’t care: I gave it my heart and soul and every day was filled with creativity, fun, friendship and exhaustion. I was happy. But one day, I realised I could keep on doing it until I dropped and then I’d be replaced by someone else who’d do the same. A light came on in my head. I knew I was a person who gave my energies readily and so fervently and was good at what I did. That defined me to some extent. But who else was I? That thought made me take the time to reconsider. Now I realise the stick that was driving me on was in my own hand: the need to achieve something good every day. Three years ago, being the best I could be was based on external criteria I had little control over. Now, to a much greater extent, I can dictate what I do. I left my relatively secure job, a role that made me feel appreciated by many and therefore pleased with myself every day, determined to write novels. It was an ‘I will do it and I don’t doubt that I can’ moment. I was sure that I could become a novelist. Skip forward to finding a fantastic agent whose wisdom and common sense are totally appreciated, an intelligent, forward-thinking publisher, a lively and talented publicist and an amazing, strong team, and to having my first novel published. Fast forward further: radio interviews, press interviews, blog tours, book signings. It couldn’t be more exciting. I wouldn’t look back. Of course, I’m selling being a novelist in the most positive way. That’s because for me, there are no down sides. As long as writing 100,000 words doesn’t deter you, then editing every word and phrase into the late hours, revising characters and settings, meeting deadlines, reading reviews, listening to critics. But for me, all of that is part of the excitement, part of the journey and I wouldn’t change any of it. I can get up when I like, not always at six in the morning. I can work the hours that I like, taking a couple of hours off to go to the gym or for a walk. I can make time to have lunch with friends, take an evening off to go to the theatre or to watch football. And I can work through the evening and into the late hours if I like, which is often therapeutic. I have more autonomy, a lifetsyle I didn’t have before; gone is the treadmill which sped up as the day progressed and the bells that constantly told me it was time to move to the next part of my day. I am so lucky. Being a novelist is a privilege. Then there is the element of research, one of the greatest perqs of beng a writer. For A Grand Old Time, the novel being based on Evie’s journey through France, it was such an opportunity to go back and check the location. My second novel, The Age of Misadventure, is also a journey, beginning in Liverpool, a city I love, and ending in Sussex, where the scenery is wonderful. Being able to pack up the van and take off as part of my location research is a blessing in itself. 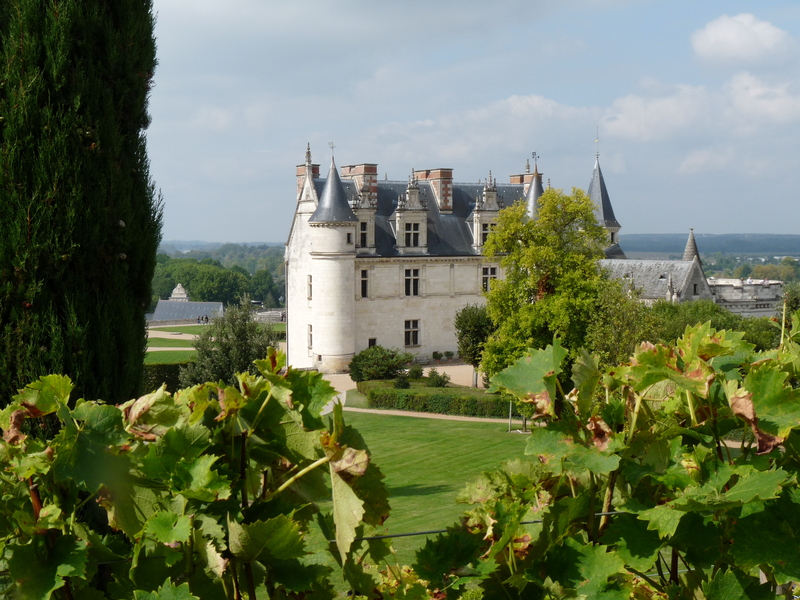 I’ve just been to the Loire valley to plan a third novel. It won’t be set there, but I needed an excuse to research one of the character’s background. The setting was beautiful: sunshine, rivers, open roads. While I was travelling, I met some fascinating characters: Marie-Ange who owned a farm, Bernard who gave me the loveliest rosé wine from his vineyard and some of the nicest English people, whose incredible wine- fuelled hospitality until two in the morning will certainly inspire mayhem and fun in future novels. I ate pasta and drank Armagnac under the stars at midnight and slept with the sound of the sea in my ears. Can there be a lifestyle better than that? It certainly beats the old daily routine. Of course, writing’s not for everyone. I’ve heard all about the down side of being a novelist: writer’s block, carpal tunnel, headaches, deadlines, loneliness, excessive alcohol to fuel the late nights, cramping buttocks on unforgiving swivel chairs. But I’m grateful for every day of writing. As the seasons change and new ideas come and go, I know I’m really fortunate to be able to do what I love every day and to have time and energy to decide how I will do it. I just wish there was a magic wand I could wave where everyone could have a job they’d love and enjoy as much as I enjoy mine. Why some of my protagonists are older people..
You’re so right. Not only are you lucky, but for me there’s no better feeling then when my characters are talking to me, I can see the story starting to unfold like a road that goes ever on, and I actually have a few hours to write in. The very best of times! Good luck! Thank you .